A big welcome to Mayer Brown – our newest MyPlus Students’ Club employer! With offices worldwide, Mayer Brown provides legal advice and client-focused solutions to support many of the world’s leading businesses, governments and individuals. The firm is an active member of a legal sector disability network and their London office was recently awarded the Disability Two Ticks Symbol by Jobcentre Plus. They also support numerous disability focused initiatives including the Business Disability Forum, Disability in the City and Consulting+, and work with Aspiring Solicitors to offer support and encourage disabled candidates to apply for their Training Contracts. Get to know Mayer Brown and more about their approach to disability here. We are delighted to have them on board. 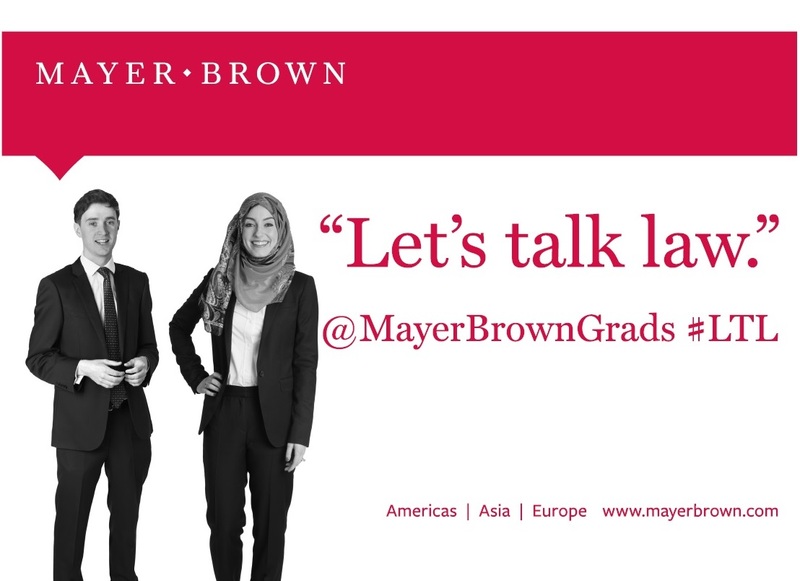 You can follow them on Twitter @mayerbrowngrads.